Cooking may be fun for some, hell for some and neutral for others but that doesn’t mean everyone does not eat to stay alive. While cooking may involve some bit of work, it is definitely to enrich the belly. You can escape the actual real work of cooking while catching the fun of cooking virtual foods on your iPhond or iPad with cooking games. Some of this cooking games can educate you and give you cooking tips but most generally give you fun. 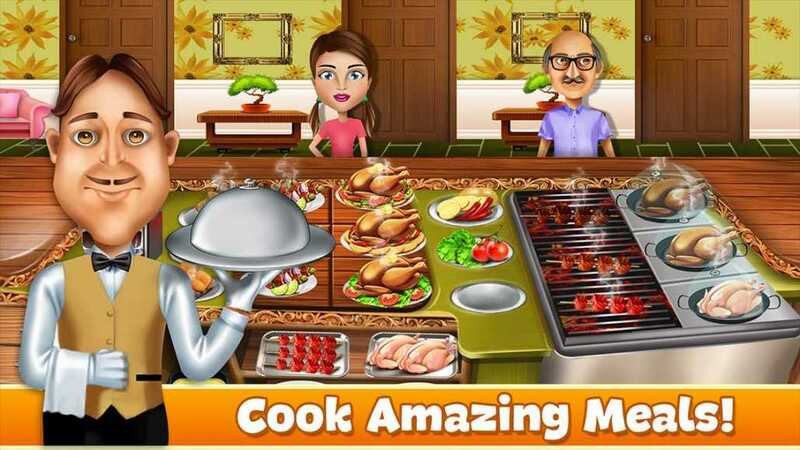 Check out the best 5 cooking games for iOS. Street Food Tycoon makes the list as one of the best cooking games out there. You need to answer this question to become a food-cart pro which is: Where do I get money to make money? You need to make a choice of where you’d get funds from, whether it’s from your parents, pawn shops, cooperative loans or bank loans. Each of this options have it’s advantages and disadvantages – it’s up to you to make decision on how you’d start your entrepreneurship journey. Upon getting coins, you have to begin buying items such as used food cart and ingredients. Then, you’ve opened your business. The game helps you hone your time and money management skills. Talking about foods, we must give reference to our mama. Cooking Mama would just do that for you with its gameplay that is full of fun. Just the way it is on its Nintendo DS sibling, you have to follow the on-screen prompts to make sure you don’t make mistakes and disappoint various family members who would be eating your dish. These activities include chopping onions, stirring saucepans, grinding mince, and more. You don’t necessarily need to know how to cook in real life, all you should do is to follow simple instructions. Talk about some best cooking games for iOS and Diner Dash just has to be there. In this free game, you play as Flo who is trying to grow her business from a small one to a 5 star restaurant. Your job requires you to clear tables, serve the many guests, and also collect tip cash from the meals you make. Flo will eventually develop her business to one of the best cooking business in the country. This is a classic game that can gives fun to both adults and children. Restaurant Story 2 is one of the best cooking games to be talked about. It is a free game for iPhone and the second sequel of the series which has improved graphics and visuals. You will utilise ingredients in order to prepare various dishes . You will also have opportunity to grow and harvest your own food. The games has focus on healthy cooking and natural foods so you’ll be educated and catch fun. Taco Master rivals other best cooking games on this list. The game has you working behind the grill at a busy taco joint. Firstly, you’ll be working with tortillas and meat but as you move up the levels, you’ll be provided with more ingredients to work with like salsa, peppers, beans, and rice. Orders will be posted at your front and you must dish out whatever taco the customer want. Then more others will come and if you’re not fast enough, the orders will start to shake showing that you have a dissatisfied customer. If you’re not quick and sharp, you begin to lose money and respect.